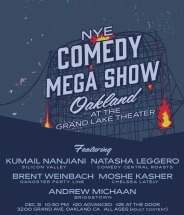 There’s no shortage of New Year’s Eve hot spots in San Francisco but if you’re in Berkeley and want to party close to home without spending a bundle on crab cakes, here are four party options happening downtown and one highly recommended comedy show in Oakland because who doesn’t want to ring in the new year laughing with Oakland-grown underground legend Brent Weinbach and his friends? Links to special NYE menus are also listed below. Wherever you end up on the last night of the year Quirkeley wishes you a happy 2015 filled with local, fresh + organic adventures. Party on. 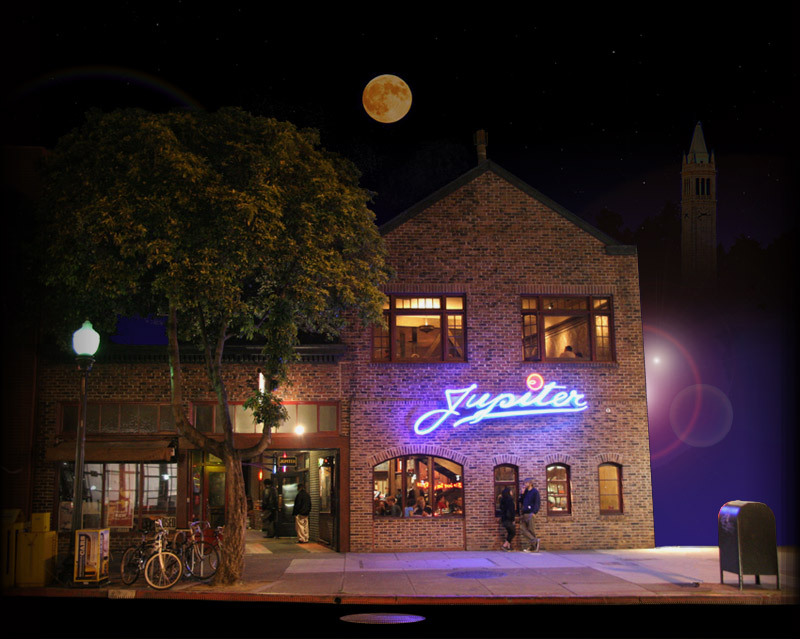 From Jupiter’s website: Come say farewell to the old funky smelly year and ring in the shiny New Year at Jupiter, with party favors and a champagne toast, all to the grooving sounds of Oaklands own Bandulu! Actually making their Jup debut, it was in the East wing of Berkeley’s historic Cloyne Court Hotel and Casino where Bandulu founding members, David and Alan, discovered their affinity for golden-era Funk, Soul, and Reggae music… Some years later in Oakland, California, David and Alan re-connected with some old friends, stumbled upon some new friends, and the eclectic funk group Bandulu was officially born. Come see the last of 2014 and the beginning of 2015 with your peeps at Jupiter! 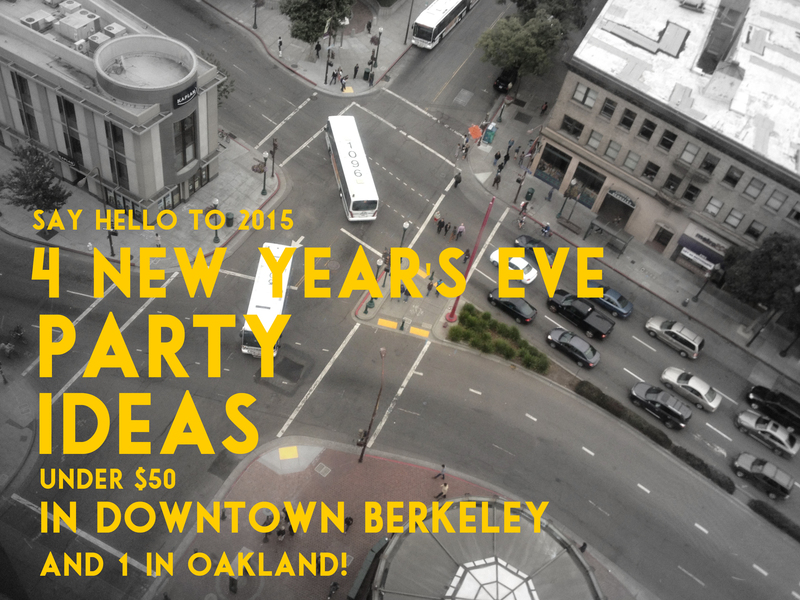 From the Underground’s website: Celebrate 2015 NEW YEARS EVE with the Prince & Michael Jackson experience at the new Berkeley Underground Nightclub! The music is far from the only thing happening at this party, there’s theme dancing, a face-off between guests repping The Purple One or The King of Pop, and much, much more. This is the perfect night out to lounge with your friends, make some new friends, get your drink on, dance your @ss off and have the time of your life. From La Botella Republic’s website: Your ticket to party blesses you with a flight of bubbles from Rack and Riddle, Mary Elke, Roederer Estate and Capitá Vidal plus festive hor d’oeuvres from our very own Chef MikeC while jamming to the groovy sounds of the one and only DJ Patrick Lotilla! 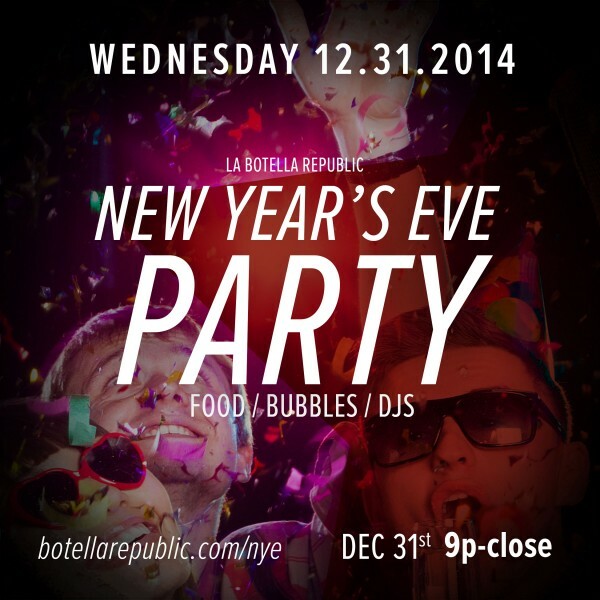 It’s our inaugural New Year’s Eve Party 2014 at La Botella Republic. Spots are limited so don’t miss out! Grand Lake Theater $20 advance / $25 day of show SOLD OUT! From Grand Lake Theater’s website: Welcome in 2015 with some of the country’s top comedic voices. All Ages (Adult Content). No Alcohol.